The CORONATION Festival, took place in the Gardens of Buckingham Palace for celebrating the 60th anniversary of the Queen's coronation. 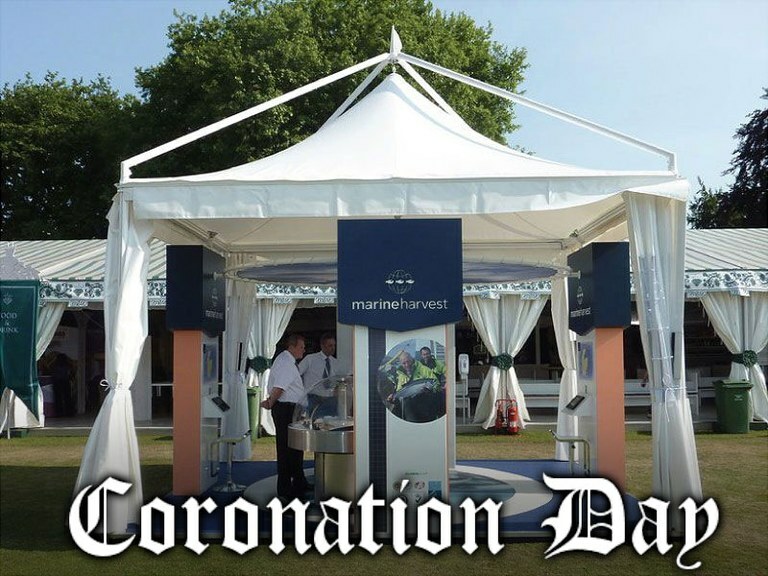 This exciting and unique event was hosted by the Royal Warrant Holders Association and brought together selected companies such as Volkswagen, Marine Harvest, Martini and many others. 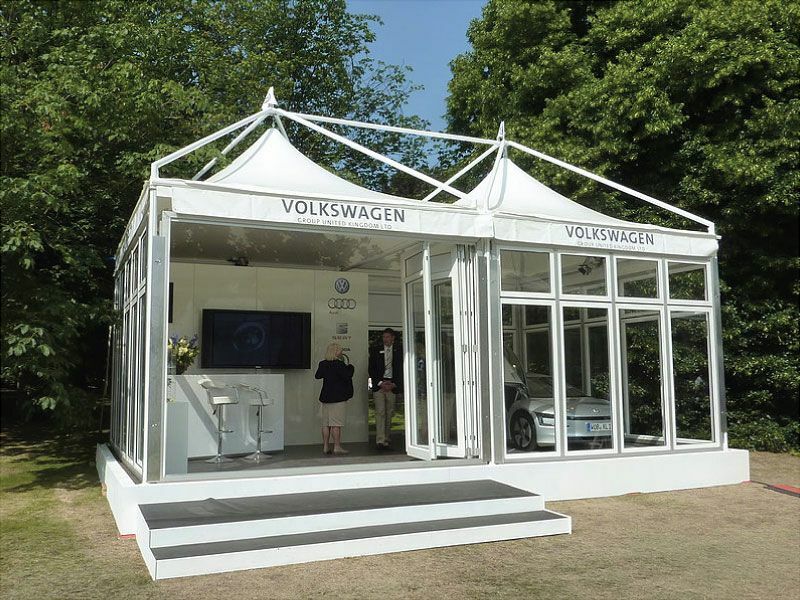 They had the opportunity to create its own exhibition booth inside the Giulio Barbieri's marquees. 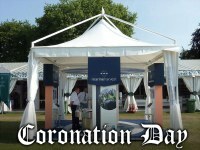 For this special occasion company PURVIS MARQUEES, Marquees hirer By Appointment to Her Majesty The Queen, has selected the elegance, the unique design and the practicality of Giulio Barbieri's marquees, 100% made in Italy, in a prestigious location where the exhibition booth had to be in perfect harmony with the Royal park. 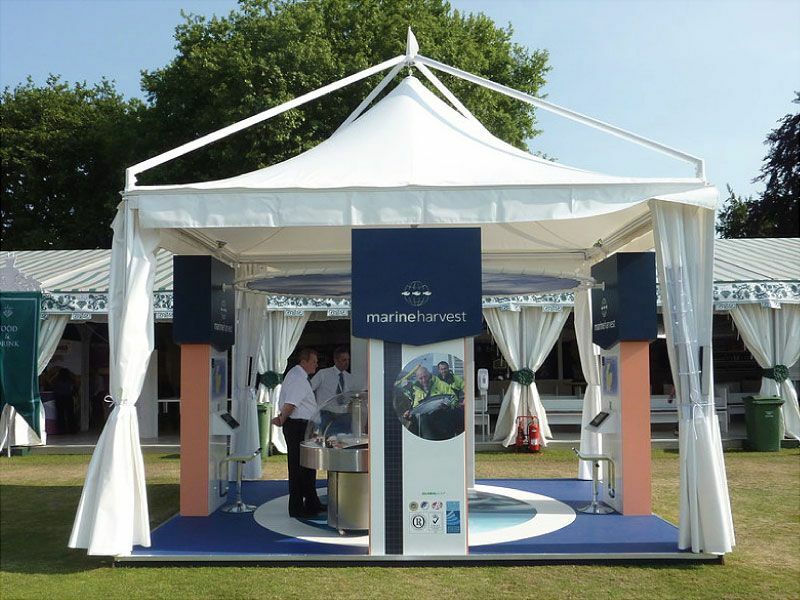 "We are simply proud to provide our products for such an important event" declares Giulio Barbieri, owner of the company "our tents are admired worldwide for their unique style, for the high quality of the raw materials and the simplicity of assembling. This is the recipe of success for our products which are preferred during official celebrations worldwide: recently we have been awarded with very important orders even in the African continent, received from the Royal Army of Morocco and directly from the presidency of Cameroun."